What Drugs Can a Saliva Drug Test Detect? Many of the most commonly abused drugs can be detected in saliva drug testing including: alcohol, marijuana, thc, heroin, cocaine, and amphetamines. Since a saliva drug test cannot be used to detect historical drug use, it is primarily used in emergency situations or times when immediate alcohol use must be detected. Most drugs do not linger in saliva and disappear in anywhere from twelve to twenty-four hours. Because of this, saliva drug testing is being considered for drug detection in situations where recent drug use must be detected such as vehicle and equipment drivers and those involved in workplace or other accidents. 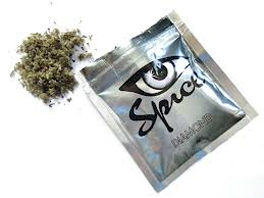 It is not generally used as a method to detect past drug use. A pad is placed between the lower cheek and gums for about two minutes. Once saturated, the pad is transferred to a collection vial where it is then transferred to the testing facility. Get fast, reliable results with a non-intrusive saliva drug test from Transmetron today! Saliva drug testing has proven to be a consistently reliable method of drug testing. Recently there has been extensive research on the use of saliva in drug testing. Findings in the studies have concluded that using a saliva drug test has certain advantages and certain disadvantages when comparing the use of urine drug testing for the presence of drugs. The most obvious advantage of a saliva drug test is the collection procedure is easier and less prone to cheating the drug test, as is sometimes the case in urine drug testing. The ease at which a person's saliva can be drug tested makes saliva drug tests less invasive than other forms of drug testing. The collection of saliva for saliva drug tests is easier when compared to urine drug testing or blood drug testing. We provide saliva drug testing for 5, 6, 8, 10 and 11 drugs plus alcohol..